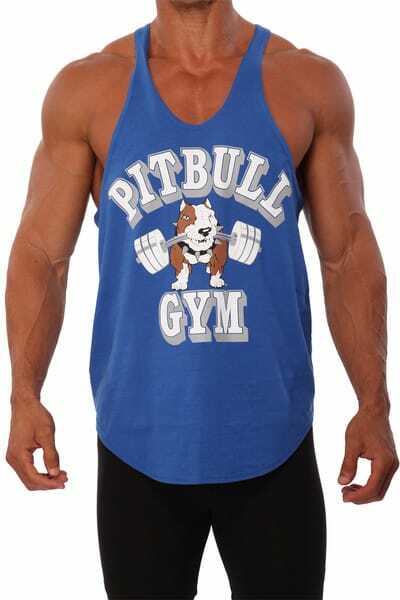 The Pitbull Gym “Barbells” Stringer Tank Top is a classic in your active wear closet. Created from 100% ring spun cotton, this tank is a staple for any fitness fanatic, serious bodybuilder, and hard-core weight lifter. 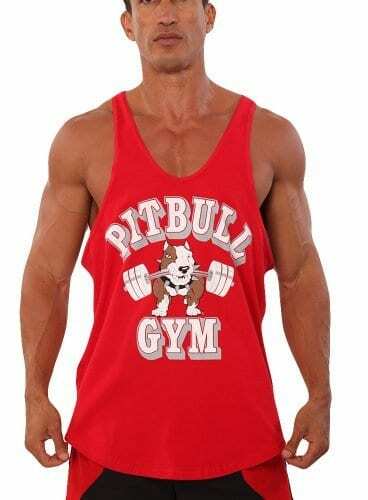 Thevintage Pitbull Gym “Barbells” logo is screen printed and has an original Pitbull Clothing care label sewn inside. 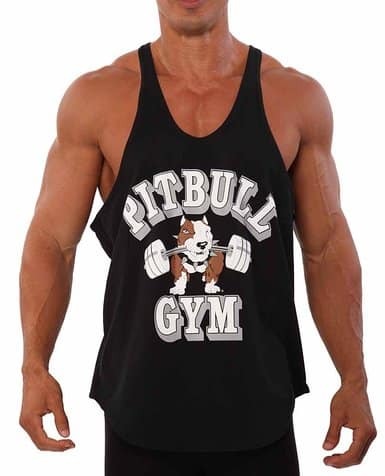 These signature elements allow you to purchase with confidence knowing that you’re buying 100% authentic Pitbull Clothing apparel and is 100% MADE IN THE USA.